This article is the outcome of a rather delayed reading of Paul Devereux's rebuttal to the book LEY LINES IN QUESTION by Williamson and Bellamy (TLH 97). I wrote to Paul that many of his arguments had further proof in Continental ley hunting and he invited me to report about them, starting with Holy Hills (also discussed by Paul in TLH 100). But first let me state my area of research: my own county, Belgium, Northern France and Germany on the Belgian border. The country is either flat or gently undulating, rarely very hilly. Most hills are the result of table-land erosion and summits do not exceed 500 metres. However, examples of Holy Hills abound. i) When the country is flat, local leys are aligned on the solstices. It is difficult to say where they stem from, except in the obvious instance where they go through a spring, megalith, barrow, very old and sunken crossroads, sacred groves, etc. ii) Where the country is a little more hilly, more and more local leys point to the local "summits but always in solar and sometimes lunar solstice directions. iii) When the country is very hilly, with very noticeable features on the skyline, more leys go directly from one high place to another, without astronomical specification. As I said, I still find these distinctions basically relevant, although having learnt to correlate precisely the calendar with the sun's azimuth on the horizon, I do not put the accent so much on the solstices any more, but, as a matter of fact, on any calendar dedication which crops up in the religious or folk-custom context. From the start I should make it quite clear that I have found that very low mounds (10 to 15 metres above surrounding level) are ley centres. So, let's not confound the issue by keeping the symbol of a mountain in the mind's eye when talking of Holy Hills. Holy Hills can be, and often are, unobtrusive local eminence's and one has to stand on top to see how they do, after all, dominate, however gently, the surrounding landscape. In this opinion I am comforted by Jan De Vries, eminent Celtic authority who says in THE RELIGION OF THE CELTS that "insignificant elevations of terrain already have a sacred character". 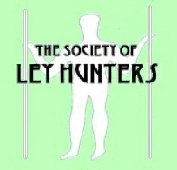 This should not induce us to think that because eminence's, whether high or low, correspond to the name ley hunting label, they should always perform the same function, Indeed, as one may well imagine, the interest of Holy Hills diversifies as they increase in height and in sharpness of contour. Quite naturally low summits just serve as horizon markers for very small "sacred geography" systems with hardly any leys on them: just a central point where the village church usually stands with few markers on the horizon for the solstices, feast-days etc, and no intermediate ley points. As the hill gets higher one gets more and more long-distance leys homing in, whether in special astronomical directions or not. When the contour is adequately shaped the hill is also used in the pure megalithic tradition where the path of the sun or moon follows the slope at the solstices. Here now, are some examples which I have classified under three headings: low hills, medium hills and high hills. As I have just said, by low hill I mean a gentle swelling-up of the terrain, with at first sight no sharply defined summit. The problem is course is to establish that sighting lines that go over the hill do not just occur by chance. On this subject I have been led, after all these years of wind-swept wanderings to make a basic assumption: to be taken into account, leys which go over a rounded mound must cross at a precise geometrical point on the top of this mound. My judgment not only stems from the opinion that imprecise criss-crossings are not conclusive per se but also from the basic and hard-won evidence that we are, generally speaking, facing a dualist tradition: one aspect has to do with precise archaeo-astronomical sighting lines using horizon markers, the other with the sacrification of precise geometrical points in the landscape. This, if we find such a well-defined and all round visible point on a rather flat summit, where all lines converge, very good. If this point coincides with an artefact such as a chapel, a burial mound, a venerated tree or even a megalith, all the better. If we have an artefact we can be content with two or three lines coming from rather different directions to surmise the Holy Hill character. With no artefact we need more lines but we can also perhaps deduce from the place-name that there used to be one (see example below). Without this clue we can also imagine that exact localisations like these could have been kept secret (but why?). But lets stick to the artefact idea which gives rise to another problem: in the very frequent event where the sighting lines are of astronomical character, is the artefact used in the previous megalithic tradition with a limb of the sun just brushing its silhouette, or is it used symbolically with the sun (or moon) rising or setting astride the artefact? a) Meeting point of sighting lines is often so precise that only the centre of the disc could have been sighted. b) When viewing a summit from a back-sight (a chapel for instance) through a church steeple , the steeple always goes precisely through the top of the summit's rounded curve, thus accentuating its symbolic aspect. Before going into examples, just one last precaution about the choice of these: there is indeed the danger that after poring endlessly over many maps the amateur ley hunter will nearly always end up with a site which neatly gives proof to pre-conceived ideas. This has not been the case with the examples I have to offer, because these were forced upon me by outside circumstances, usually requests to analyse such and such an area, rarely more than 10 miles across. The first request is worth stating because it is gratifying to ley hunting: the King Baudouin Foundation gives grants to projects destined to restore Belgium's Heritage. Architect R. Puttemans was working on such a project for the Parish of Faimes (between Brussels and Liege) and he asked me to uphold his arguments for the protection of certain sites by drawing up the "sacred geography" of the area. The Parish is bordered by a Roman road, contains many burial mounds, mostly of Gallo-Roman origin, very old churches with bizarre dedications, and so on. I was immediately drawn to a field name called "A La Pierre" - "At the stone", an appellation typically reminiscent of a disappeared megalith. The field was, upon inspection, a mound sloping away gently to adjoining villages. Leys to nearby churches, chapels and mounds gathered somewhat loosely in triangle form on top of the field. But more was to come. I had put the usual astronomical formulas in a micro-computer and I was able to work out the azimuths of the different lines with much more precision: very exact latitude, different horizon heights for each line, and a range of hypotheses for back-dating the sun's declination. Quite convincingly the lines started to converge as the dating grew older and the triangles melted down to a single point at a declination value of around 1500 BC. But more still: the adjoining map together with an older map revealed, for the main solstice line, two more burial mounds and two disappeared items, a venerated tree at cross-roads and a very big boundary stone, all on intermediate ridges. Last but not least, the old map revealed that my precise location point coincided with a kink in the old Parish boundary, and a walk there some weeks ago on the newly ploughed field made me pick up pieces of rock not indigenous to the area. Lets hope that there will be an outcome to this piece of detective work and that the Parish authorities and the field tenant will agree on site research. Before going on to the main example I'd like to mention a rather rare and curious occurrence. It happened at Laon (100kms North-East of Paris). This mediaeval town is situated on a flat hill dominating the plain by a 100 meters. The hill is eroded table-land and it has sharply defined contours at the edges. It was probably a stronghold of the Gallic tribe of the Suessiones. The town was capital of France under the Carlovinglans (9th Century) and has various holy connotations. Right in the middle of its imposing silhouette stands out one of the most beautiful of French Cathedrals. I was led to this site by my actual enquiry into the localisation of Black Virgins. From the nearby village of Liesse, shrine of one of France's most venerated Black Virgins there is a ley using Laon hill as a right limb marker for the Celtic feast of Samhain (1st November). Although short of time I briefly examined Laon hill for leys running over the top or using the side slopes. Study of leys running over the top was inconclusive perhaps because of the lack of maps over the great distances involved. However one item drew my attention: three churches in a row on a nearby shelving ground to the South-West of Laon hill. The row nearly coincided with the theoretical level ground sighting line using the slope of the west contour of Laon hill for midsummer solstice sunrise. The highest and farthest church was right on the line, the mid-slope church was a little staggered to the left and the lowest church in the nearby marshes was still a bit more staggered to the left. It dawned on me (what a pun!) that this "stagger" was just calculated to take into account the fact that as one got nearer and more below the hill, the sighting point had to be adjusted to the left so as to still see the rising sun follow the slope. Check-up on the map (but with no theodolite) confirmed this. This configuration being standard and precise megalithic practice, the easy answer is to assume that the three churches are built on megalithic sites. However megaliths are, to my knowledge, extremely rare in this area, so this leaves us with a strong presumption that pre-Reformation builders, although closely associated with the symbolic straight-line stratagem, also used the more precise techniques investigated by the archaeoastronomers. Now for the main example of medium hills. This one was brought to my attention by a request from the Belgian magazine KADATH to make a critical analysis of a rather careless survey of megaliths in the region of Douai, published in a "mysteries" series. Douai is situated approximately 100 kms to the South-East of Calais. In close vicinity, on the borders of the river Sensee are 4 megalithic sites (one dolmen and three standing stones) and two Holy Hills. One of these hills is rather pronounced and is crowned by a chapel dedicated to "Notre-Dame De Montaigu". The other is not so pronounced and is crowned by the village of Oisy-Le-Verger. I hope the following diagram is self-evident and does not need too many commentaries. The most interesting point to note is that the slope of both hills are used by two of the standing stones for solstice markers, whereas the rather precise top is used for homing-in leys, some with astronomical signification. A number of simple sighting lines to adjoining churches have a precise astronomical signification and as these churches are for the most part on the horizon, one gets the feeling that this was done on purpose and is no coincidence. The choice of this last example in this series is not perfect because I have not surveyed it on foot. I was led to it for the un-glorious fact that it is situated on the only very large scale map of hilly country in my possession (Vosges region in the east of France)! However, I dare give this example because the very carefully shaded contours of the French maps, combined with the bold upheavals of the mountains, leave absolutely no doubt as to the lie of the land. By this article I have not tried to prove that the hills I have investigated are "holy". Indeed, and I could have said so from the start, the definition of the Holy Hill is still rather vague and at the best it can be coined as a kind of privileged centre for astronomical and sacred geometry applications, as well as for earth rites such as fire ceremonies, etc. To this already rather broad understanding, I would like to add the necessity of making a clear distinction between astronomical and symbolic practice. (I don't know if this idea is original; the editor and correspondents of the TLH will certainly react on that!) If pursued in the field however, (and hopefully with a theodolite) the archaeoastronomy and ley hunting converge.